The latest evolution of this classic jacket combines the benefits of natural down and synthetic insulation in a highly technical, body-mapped design for serious mountain adventurers. Our natural wonderstuff – Hydrodown® – is placed where you want to retain heat, while Hydroloft® panels are built into areas where breathability is key. Who says you can’t have best of both worlds? MADE WITH HYDRODOWN® - Filled with our world-leading hydrophobic down, Hydrodown®. Long-lasting warmth that keeps on working when wet. 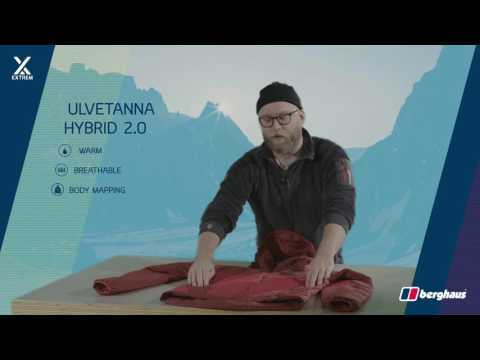 HYBRID PERFORMANCE - Hydroloft® powered by Thermore®, our ground-breaking synthetic insulation works in tandem with Hydrodown® to add superb breathability and heat stability. • Lightweight, windproof and breathable, PERTEX® face fabric also has a great amount of stretch.